Unique Mexican restaurant franchise and territory rights for sale. 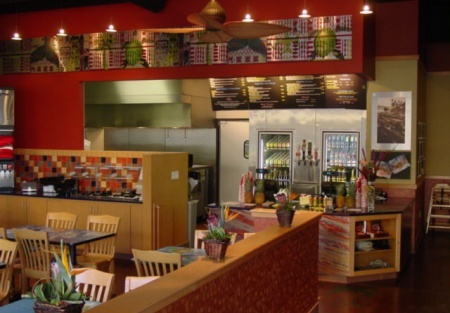 This restaurant is located in an upscale shopping center in fast growing El Dorado County. The menu fuses traditional Mexican cuisine with unique spices and flavors, everything is prepared fresh daily and the menu is Tran�s fat free. There are menu items that have also been approved and are listed on Healthy Dinning Finder website. The dining room and kitchen were professionally designed for a fun and relaxing environment that�s conducive to lunch and dinner customers. This particular unit is considered to be the flagship location in terms of build out. Sales for this unit average $70,000 a month. Rent is $7402 a month including CAM charges. The sales price includes the franchise rights for Yolo, Sacramento, Placer, El Dorado, Solano counties. There is another unit for sale as well and they can be packaged together please call agent for details. Take the next step and complete the online confidentiality agreement and you�ll be provided with the restaurant name and address. Also you will be given priority notification on new listings in the future, prior to the general public, giving you the best chance to �scoop in� the best opportunities. There are also more photos available to our registered buyers.This is a Paramount Restaurant Brokers, Inc. DBA SellingRestaurants.com listing. Unique Mexican restaurant franchise and territory rights for sale.